The foundations hadn’t yet been poured, but the first homes released at Lochgilp Street – the latest phase of the emerging Maryhill Locks waterside community in Glasgow – have now been reserved. The launch took place on Saturday 23rd June 2018, when all 10 homes for open market sale were snapped up in just two hours. 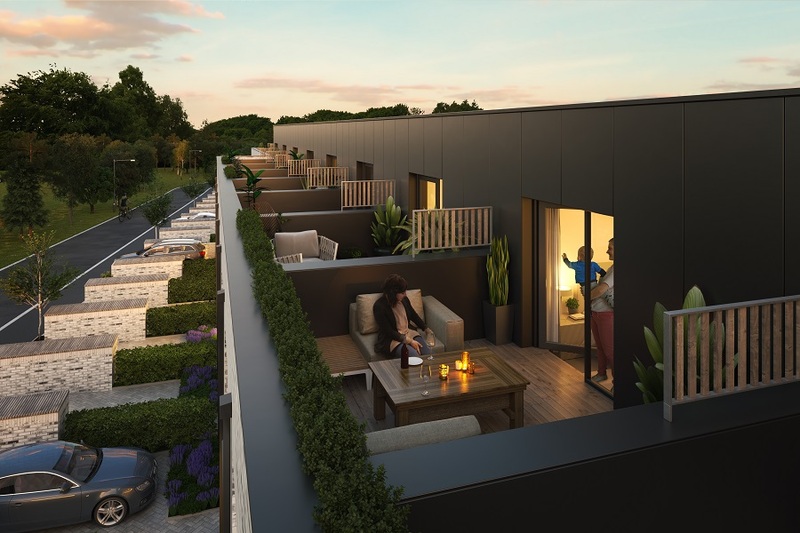 Bigg Regeneration – the joint venture developer between Scottish Canals and Places for People Capital – quickly released further homes to try and satisfy the demand and ensure no-one was left without an opportunity to secure an early bird home. Lochgilp Street will ultimately be made up of 33 homes, which are started on site in May, with construction due to complete in April 2019.
igloo’s development director, Gary Watt, who heads up the development for Bigg Regeneration, said: “Since completing the last sale at Whitelaw Street, the previous phase at Maryhill Locks, we had quietly gathered a healthy number of enquiries before the next spade was put in the ground, which allowed us to we launch Lochgilp Street with a minimum amount of fuss. But it still created a buzz in the local area and neighbouring west end as budding buyers kindly formed a queue on the day of the launch and patiently waited to try and secure their new home. We are all really thrilled that the development is still grabbing people’s attention and there is now a great deal of interest in the next release which is great to see. Set within a riverside and parkland location, Maryhill Locks is bringing well-designed, mixed-tenure housing to what was formerly a vacant and derelict brownfield site. Phases 1 and 2, delivered by Maryhill Housing Association, are made up of 160 social rented and shared equity homes and Whitelaw Street included 40 terraced homes for private sale.